by Christopher Winn | Nonfiction | This book has not been rated. The winner is Haugtussa. Congrats! The book is safe with me, I do look forward to read this, maybe snippets at the time. 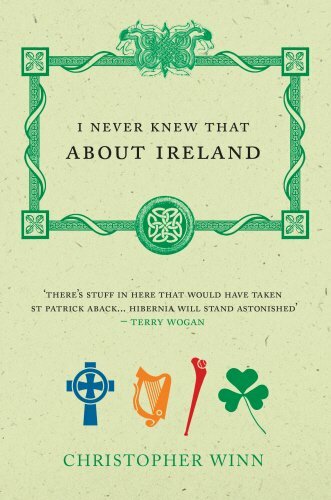 Lots of interesting facts/myths/stories form Ireland. Now - I just need to go there. I am taking this book home with me from a BC meeting in Trondheim, Norway.